How To Reset Windows 10? Is your windows 10 system slow? Here is how to reset windows 10 to improve its speed and efficiency. The speed and efficiency of Windows computer decrease, and it doesn't remain same forever. Windows mismanagement stuff takes place over time, and that's the reason why people encounter several issues with their system. If you start encountering problems with your system, especially speed and efficiency related, then you should reset windows 10 to get rid of most of the issues. So, here we are going to tell you how you can reset windows 10 easily and quickly. All the methods that we are going to share with you in this post are working and effective. So, just follow all the instructions we have provided in below steps, and within NO time you will be able to reset Windows 10. Don't Forget To Backup Before You Rest Windows 10. This one is the important thing we would recommend you do. It's always good to secure all your important documents, files and media before resetting your PC. It will help you to secure all your files, including movies, pictures, documents and files, and then reset your system without losing any of these files. Also, make sure that you have exported all the browser bookmarks, software setup or Installation files and account passwords. Also, make sure that you have backed up all the app-specific data. Once you're done with the backup Windows 10 data, it's time to proceed and reset Windows 10. 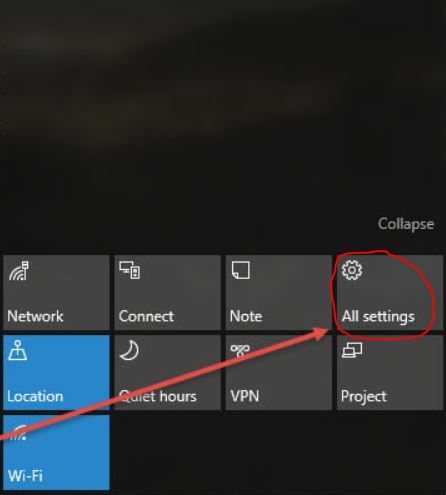 The feature to reset windows 10 is available there in the primary setting menu. It will bring your system back to the default settings and state. 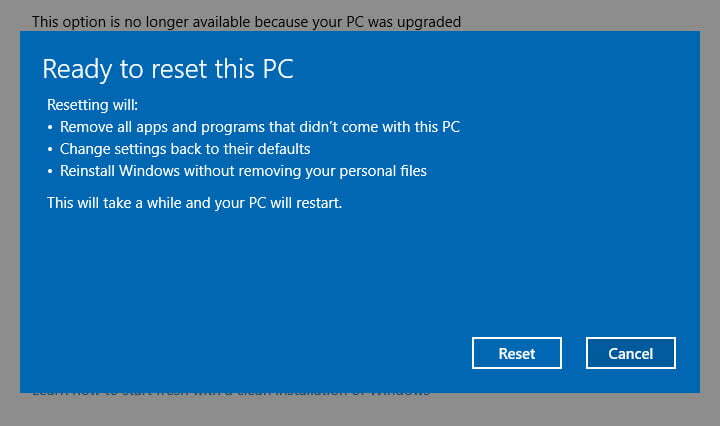 Also, note that resetting Windows 10 on your system can be technically different from the factory reset, it depends on your system configuration and the manufacturer. We recommend users to read product manuals first or contact the tech support team to know the best resetting approaches. The manufacturer of your PC might have defined a unique setup on your PC’s hardware for this purpose or will give an appropriate factory reset image. So, if you're ready to proceed here with the approach to reset windows 10, then here are the steps that you need to follow. Step 2: Now click on “Update And Security” to proceed further and reset Windows 10. The next page will give you two options. Of course, “Reset This PC" option is there but the second advance process is worth considering if you have got the skills to proceed with it. “Advanced Startup” process is used to modify a system on a deeper level. It's more straightforward when the manufacturer of your system provides you with the factory restore image. So, make sure that you are familiar with all the options involved in the process before proceeding with Advanced Startup option. Here we will proceed directly with Reset This PC option. Step 4: Think and decide whether you want to proceed with keeping your files option or remove all your files. 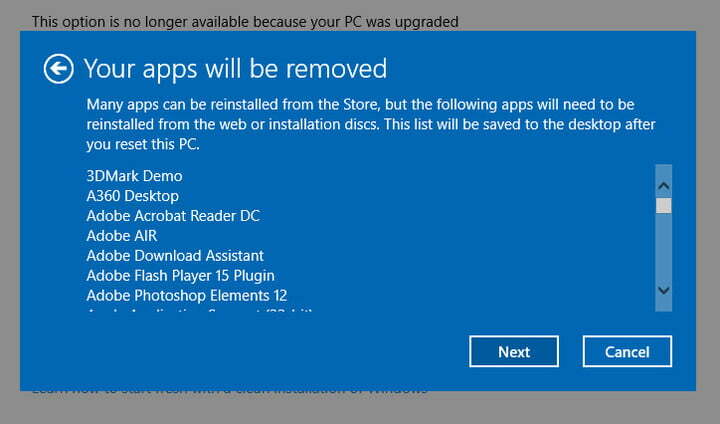 No matter whichever of these two options you choose, all your applications will get uninstalled and you will have to reinstall them again after you reset Windows 10. Step 5: Click on the option which makes you comfortable. If you've chosen “Keep My Files” then skip directly to step 7 of this guide. 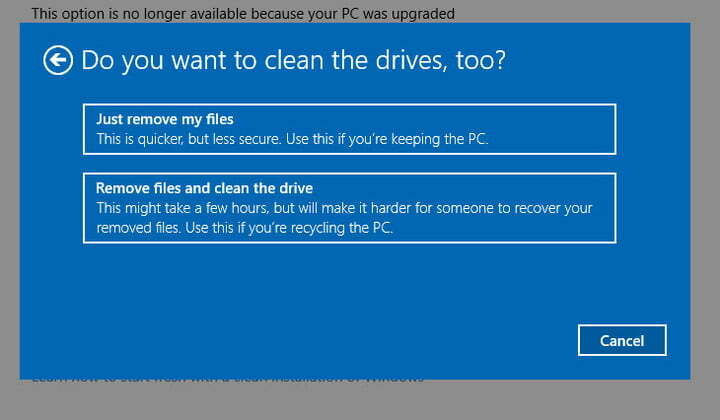 Step 6: If you're proceeding with “Remove Everything” option, you will get another option to “Just Remove My Files” or “Remove The Files And Clean The Drive.” The second option, Remove The Files And Clean The Drive, will format the drive of your PC and it's really a great option if you're planning to sell your Windows 10 Computer. 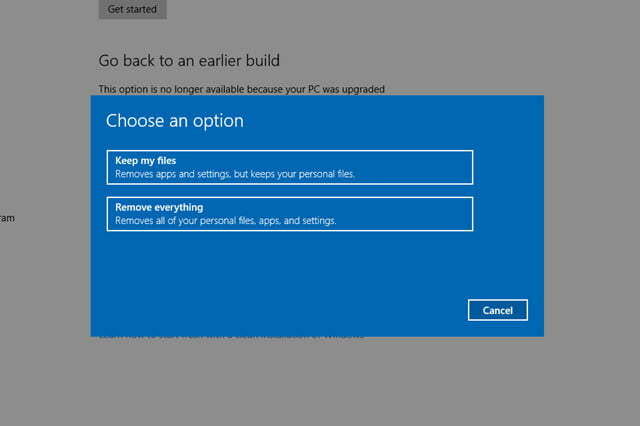 Well, the process is quite lengthy, and if you're planning to reset Windows 10 only then proceed with option one, that's “Just Remove My Files.” After this, skip to step 8 of this guide. Does your system has multiple internal drives? 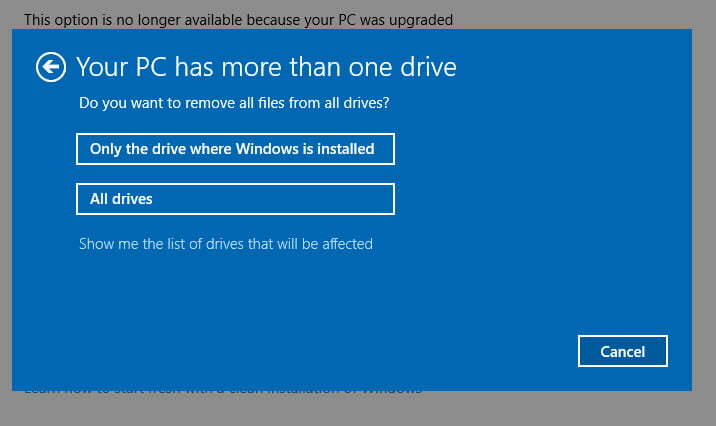 If yes then, in that case, you will get an option to wipe only the primary drive of your pc or all the associated drivers. You can also click on “Show Me The List Of Drivers That Will Be Affected” to analyze the drivers which will be Included in the reset process. Step 7: If you're proceeding with “Keep My Files” option then the next screen on your PC will display the list of programs you've installed from third-party source instead of Windows store. 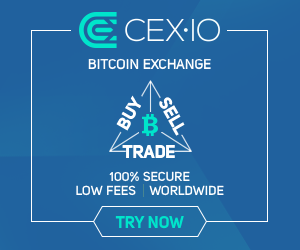 This list will get automatically save on the desktop after finishing the recovery process. Once you're done with all this, click “Next” to proceed further. Step 8: Once you're done with all the above steps and instructions, you're all set to proceed and reset Windows 10. Click on “Reset” to proceed and bring back your PC to its default state. Your PC automatically reboot now and will start the reset Windows 10 process. It can take more than one hour, so if it's your laptop on which you're doing all this then don't forget to connect the power chord. Also, your system will reboot several times during the reset windows 10 process. 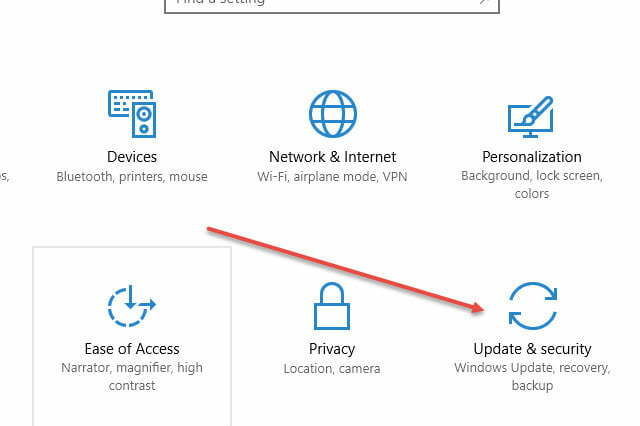 Wait for the reset Windows 10 proceed to end and then set up your PC with personal information and log in. That's it. Once you’re sure that everything is working appropriately after rest Windows 10 process, update all the drivers of your pc to ensure greater efficiency and speed. Also, we recommend users downloading an antivirus tool to protect their system. So, that's how you can reset Windows 10 easily and quickly. Hope you enjoyed reading this post and it helps you to reset Windows 10 easily. Also, read “What is HTTPS and HTTPS vs HTTP?” And “How To Remove A Hard Drive From A Laptop?”. Do follow us to get more such updates.